Great American Burger Tour | King’s Place | A Continuous Lean. 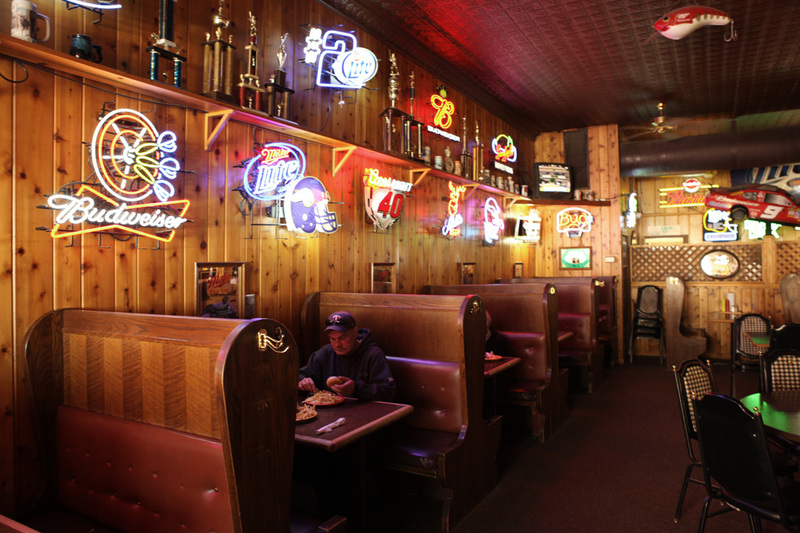 The quest for the ultimate American burger mandated a stop at King’s Place in Miesville, Minnesota a wonderful destination for burger enjoyment. 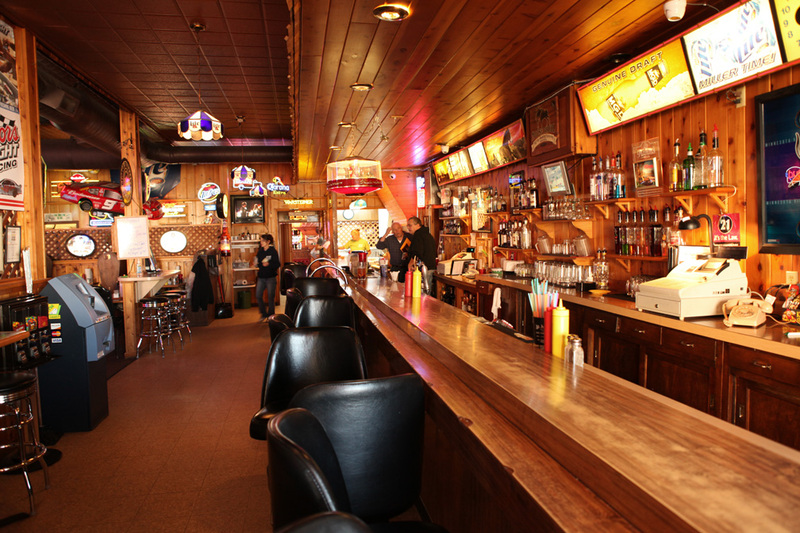 King’s Place is a classic Midwestern bar and grill situated amongst the corn fields of Minnesota. While the burgers aren’t huge (in fact they are quite manageable) the variety is overwhelmingly awesome. King’s offers 53 different burger varietals including everything from bacon to mayo to avocado to peanut butter – everything you could ever want. Some of the more exotic menu options have a note next to them where the folks at King’s nudge you to “trust us” and go for it. After my visit, that is definitely the play at King’s. Get one safe burger and one adventurous option that you won’t have anywhere else. Wash em down with a Mr. Pibb (no Dr. Pepper) or a couple of cold ones and you are all set. Long live King’s Place and long live the great American burger. you posting this in Japan? blasphemy! House of Coates in Coates, MN (another small town under the hastings umbrella) gives King’s a run for their money. Hastings MN Represent! How did you find this place? The burger joints/diners I’ve been in while in MN pheasant and grouse hunting had burgers and California burgers on the menu. The regular burgers were meat and bread, the California burgers had lettuce, pickles and tomatoes. The first time I ordered a burger I was disappointed but I didn’t make that mistake again. One of the best burgers I’ve ever had was just outside Sante Fe, NM, at Bobcat Bite. They’ve got a Green Chile Cheeseburger that is truly one-of-a-kind and of its environment. There’s really nowhere else where you can get anything remotely close to it. I eat lunch here on a regular basis…. I’m guessing you were on your way down to Red Wing shoes? Red Wing Shoe Co. is in Minnesota? The best burger I’ve ever had is the Spoto burger at a bar formerly known as Spoto’s on the east side of Cleveland. Bacon and a huge block of cream cheese. 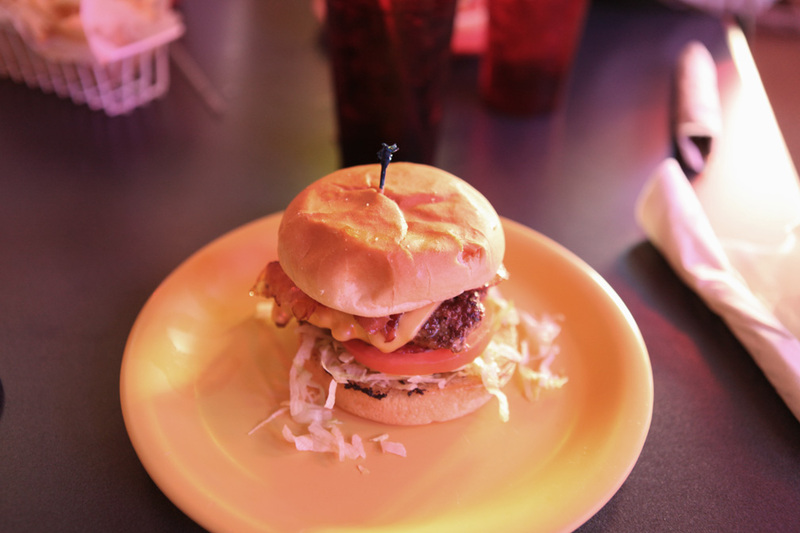 The bar is now called Rummy’s and you can still order this same burger. Check this place out next time you are in Ohio. Re: Red Wing Shoe Co. is in… Red Wing, Minnesota. Miesville always has a good town ball team, if you’re looking for summertime throwbacks to an America gone by. Minnesota represent! I should direct your attention to http://www.facebook.com/thehamblogger The HAMBLOGGER! Looks exactly like the kind of joint I want to work in on the days I say to myself I want to leave my business and work in a burger joint . That’s the joint ! Yuuuummmmmy. Beef, melted cheese, slaw–what could be nicer. Oh yeah, Bass Ale–that would be nicer. Great place. Been going there for years. Stop back in the winter when the back parking lot is full of snowmobiles. On summer Saturdays, it’s motorcycle mania. That looks like the greatest place. Ever. @ TT, Bobcat Bite is a great one! Thanks for mentioning it. Been years since I was there. Man, that looks tasty…kinda small, but tasty. What menu option did you go with, very curious. I might need to hop a flight someday to the midwest and try this for my site once we expand outside NYC! Love a fresh hamburger! My favorite has to be Port Of Call in New Orleans. Two hands please! As a proud Minnesotan amateur player, I would say Miensville has the best atmosphere for old fashioned baseball I have ever seen. It right up there with their burgers. I’ve said it once (Cheeseburger in Paradise Blog Entry) but I’ll say it again… Anchor Bar, Superior WI. awesome. 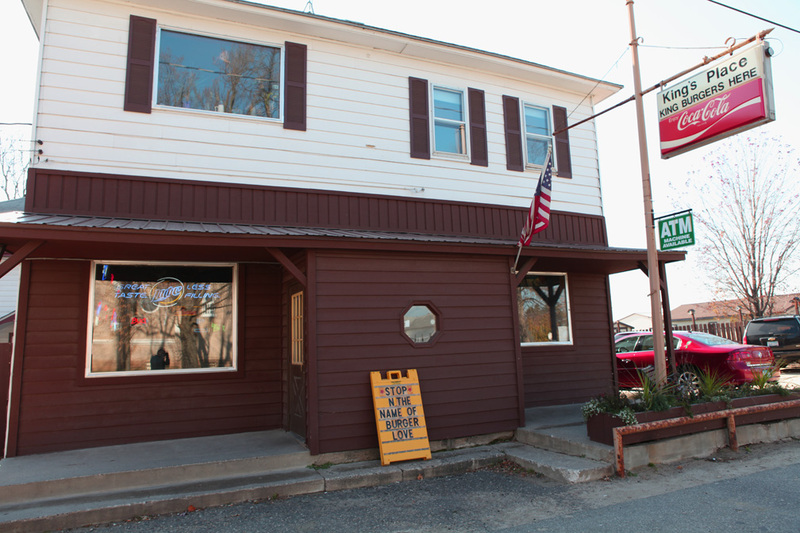 but seriously, if you’re ever in central illinois, Green Gables at Lake Bloomington has THE best burgers ever, and ive had a lot…..
And a big thumbs up for Corner Bistro, too. We used to hit it after the marathon, and let me tell you there is nothing finer than 2 cheeseburgers, Heinekens, and a mountain of fries after running 26.2! 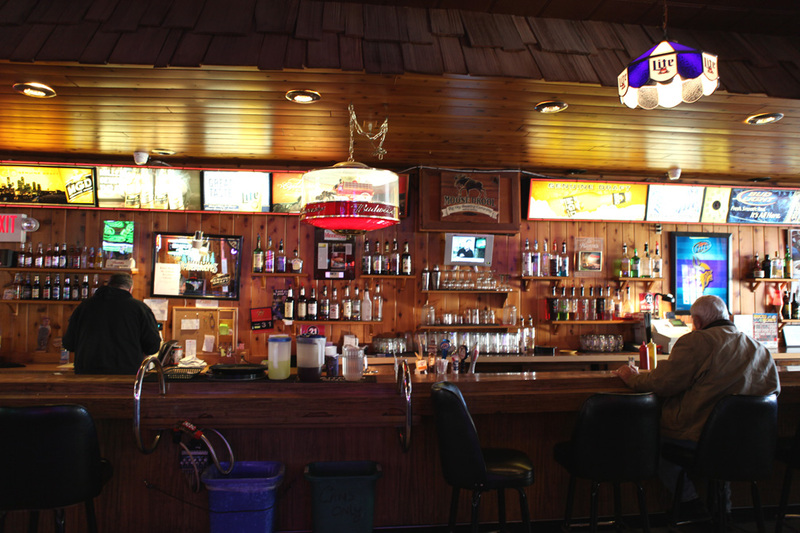 Now I’m in Madison, WI, and the best place in town, by far, is the “Village Bar.” It’s the antithesis of King’s Place — you’re only options: with or without cheese or fried-in onions. Mid-sized burgers, so definitely get 2. Served best with High LIfe’s or the venerable pitcher of Spotted Cow. So good it brings tears to my eyes. If anyone finds themself near Cincinnati I highly recommend Quatman’s in Norwood. For a princely sum you can get a great burger with a thick slice of onion, fries and a draft beer. I recommend Hudy for the true Cincinnati experience, Christian Morlein if you’re particular. Sometimes the small town burgers are the best..
be there on a wednesday night in July, hipsters and country folk mingle. Second the Anchor in Superior. Take a look at this slideshow. What every hipster joint tries to emulate – this simply has always has been. Note Edmund Fitzgerald tribute. Matt’s Bar MPLS, MN..get some. @Michael Williams — Wait… you were in Miesville but you didn’t make it to the Red Wing Shoes factory store? You were only 15 miles away from the worlds largest boot (seriously worth seeing) and a factory store basement full of samples, J Crew comissions, one-offs and export-only editions. I picked up a pair of Iron Rangers there last year for over 60% off. Shame on you! McGuire’s in Pensacola, Florida is worth a trip. It has more character than any other restaurant I’ve ever been to. And its burgers are incredible. Any kind of burger you can imagine, including the “Terrible Garbage Burger,” which includes every topping in the house (peanut butter, wasabi, five cheeses, marinara sauce, BBQ sauce, and lots more, topped with a hot fudge sundae). You gotta get to london and get a burger from the Peckham meatwagon http://www.themeatwagon.co.uk/ Kills anything I’ve eaten in the states! OMG I’m so going to Steak ‘N Shake for dinner. New Haven, CT (where the hamburger was invented): Louis’ Lunch (“The Birthplace of the Hamburger Sandwich”). Warning: don’t ask for ketchup. Looking forward to try have heard they are awesome. but really for the best value and taste Anchor Barin Superior Wisc. is really worth a try..unbelieveble prices on the burgers and fries are just a buck if yiou are really hungry the 1 lb burger is only $5.50 yes $5.50 you can order that eat half and feed it to the dog for that price. Ive been going here for over 15 years… Love King’s Place!